Base price quoted reflects manufacturer‘s suggested retail price (MSRP) for the U.S. and actual price is determined by the dealer (may vary by country and region). Price is shown without installation cost; additional parts may be required. For more complete pricing information, including installation cost, please contact an authorized Garmin aviation dealer. To help prevent incidents caused by loss of control, the FAA and other regulators encourage the use of key technologies, such as angle-of-attack indicators and autopilots, to help increase situational awareness, reduce pilot workload and enhance safety of flight. GFC 500 is the right product — at the right price — for certified light GA aircraft. Boasting a superior feature set, GFC 500 incorporates a number of safety-enhancing technologies, including Garmin ESP, underspeed and overspeed protection, automatic LVL mode, vertical navigation (VNAV) mode³, flight director (FD) command cues and more. Drawing on top-end Garmin flight control technology from our GFC 700, GFC 500 provides crisp, precise response and optimum performance over the entire airspeed envelope of your aircrcaft. Rather than depending on failure-prone mechanical gyros, the GFC 500 system is digitally controlled, using solid-state attitude and air data sensor reference — giving you ultra-smooth roundouts, intercepts and more while also enhancing the reliability of the system. Incorporating our crisp, easy-to-read 3.5” G5 electronic flight instrument¹, a mode controller and “smart” servos, the autopilot’s architecture supports full pitch-and-roll axis control capabilities with optional pitch trim for automatic and manual electric trim. Additionally, yaw damper capability is optionally available for select aircraft models. With the optional GAD™ 29 nav data adapter, GFC 500 will interface with the GTN™ 650 and GTN 750 and legacy GNS™ 430 and GNS 530 (WAAS and non-WAAS) series navigators to fly a wide range of precision, nonprecision and GPS-guided approaches as well as holds, procedure turns, missed approaches and more. GFC 500 also includes built-in GPS roll steering capability, which allows smoother navigation tracking and eliminates the need for external roll steering converters. Flight director cues are displayed as command bars on the G5 electronic flight instrument as well as optionally on a G500 or G500 TXi flight display². The command bars are always in view when the autopilot is doing the flying — and may also be used for visual guidance when you’re hand-flying the aircraft. With support for a remotely installed Takeoff/Go-around (TOGA) button, the flight director can be cued to automatically indicate and capture the correct pitch attitude required to fly a missed approach and then follow the missed approach procedure loaded in your compatible GPS navigator. Up to 2 G5 electronic flight instruments can be interfaced with the GFC 500 autopilot in your aircraft, providing full reversionary display capability. A mode controller is included with your GFC 500 package, and its compact size and mark-width design require only minimal space in your avionics stack while providing easy access to all autopilot modes and functions. You can select advanced lateral and vertical modes such as pitch hold, altitude preselect, altitude hold, vertical speed and indicated airspeed hold as well as roll, track and selected heading. 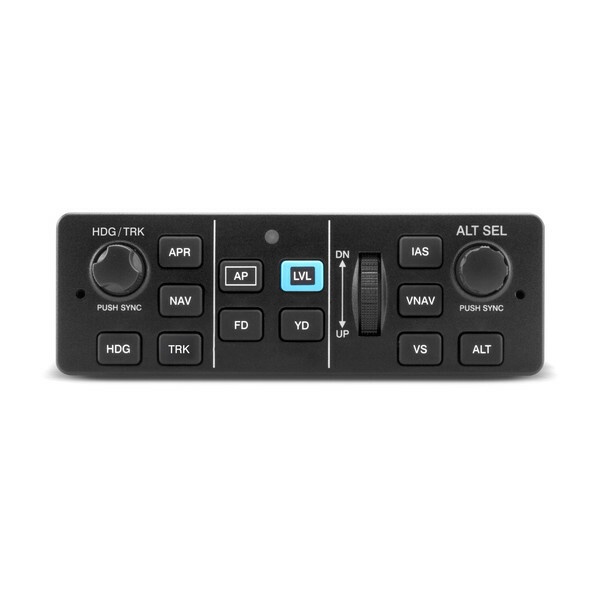 An intuitive control wheel integrated into the GFC 500 mode controller allows for easy and precise pitch, vertical speed and airspeed adjustments, while separate knobs allow quick twist control of heading and altitude. For added safety, a dedicated LVL button on the controller lets you command the autopilot to automatically return your aircraft to straight-and-level flight — and thus help avert a potential loss-of-control situation. For maximum reliability and safety, the GFC 500 servos incorporate brushless DC motors and a gear train that eliminates the need for a mechanical slip clutch and shear pins. This design results in enhanced system efficiency — while also reducing maintenance/inspection requirements. The servos also provide virtually no control system friction with the autopilot turned off, decoupling the motor drives so you can easily hand-fly or override the system without fighting the controls. The servos weigh only 1.4 lbs each, making them more than 40% lighter than most other autopilot servos of their class. Each servo is operated by its own built-in microprocessor, which provides the “smart” logic to significantly improve sensor performance, response and self-monitoring capabilities — while simplifying overall system configuration and installation. Any pilot who’s ever been startled to attention by a stall warning horn in a busy cockpit will appreciate the proactive stability augmentation of our ESP technology, which is standard on the GFC 500 system. When the aircraft is being hand-flown, this ESP feature functions independently of the autopilot — although it uses the same control servos — to nudge the controls toward stable flight whenever pitch or roll deviations exceed the recommended limits or underspeed/overspeed conditions occur. In the event of pilot incapacitation, after the system detects that it has been activated for a specified period of time, the autopilot will engage with the flight director in level mode, bringing the aircraft back to level flight and helping to avoid the onset of inadvertent stall/spins, steep spirals or other loss-of-control scenarios. Additionally, ESP can be manually disabled to allow for intentional flight maneuvers. With the autopilot engaged, GFC 500 also provides overspeed and underspeed protection. In a high airspeed situation — for example, if you’re descending and your aircraft is approaching VNE or VMO — the system will increase the aircraft’s pitch attitude, preventing a further increase in airspeed and potential structural damage. Likewise, at the other end of the speed spectrum, GFC 500 provides underspeed (stall) protection. For example, in the event the pilot does not immediately advance the throttle to full power, with the autopilot engaged while flying a missed approach sequence, the autopilot will help prevent an aircraft stall by reducing pitch attitude and provide the pilot with an “airspeed, airspeed” audible alert. There is no substitute for a safe and vigilant pilot. But there are times when a “helping hand” at the controls can have a significant impact on the safety, comfort and enjoyment of your flight. Backed by a comprehensive warranty and the industry’s No. 1-rated product support team, our GFC 500 autopilot system is a price- and peace-of-mind breakthrough for pilots who want to add these valuable capabilities to their existing light piston GA aircraft. With supplemental type certification (STC) completed for select Cessna, Beechcraft and Piper models with more to follow, it’s easy to select an approved installation that meets your mission requirements and budget. See your authorized Garmin installation center for more details on configuring a GFC 500 autopilot system for your aircraft. 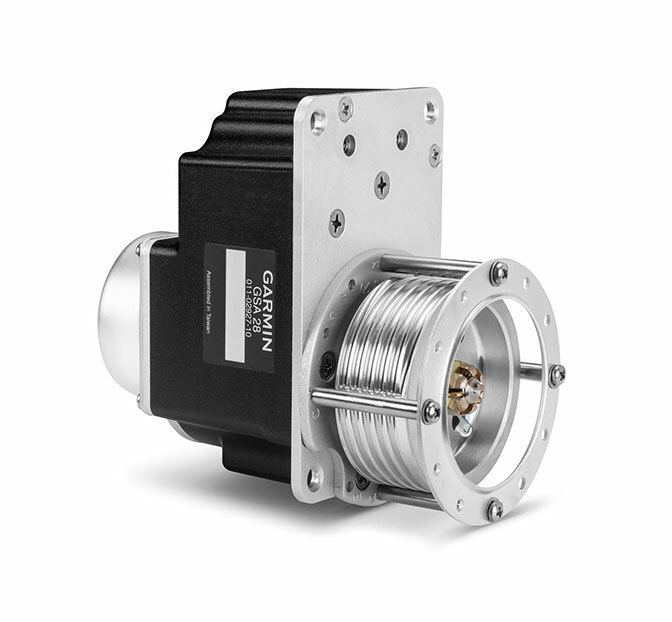 ²G500 or G500 TXi require G5 as the standby flight instrument and the GAD™ 29B adapter. ³VNAV mode requires GTN series navigator. Please note that G1000® equipped aircraft are excluded from the list above. This list will be updated regularly as Garmin continues expanding GFC 500 availability to a wide range of single-engine piston aircraft. If you are interested in GFC 500 for an aircraft model not listed above, please express your interest to us. Can We Use Your Aircraft For Certification? If you may be willing to allow us to use your aircraft in a certification program for GFC 500, please let us know. In-progress and planned certifications are subject to change without notice. This information is for reference only and does not guarantee that any of the in-progress or planned aircraft certification programs will be completed. Specific models, configurations, aircraft modifications and/or serial numbers may limit availability further than described above. Please contact an authorized Garmin installation center for full installation details.